Redback Salamanders seen in Cuyahoga County, Ohio. 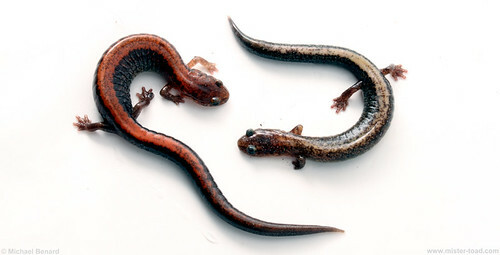 The 'mander on the left has the normal redback color. But the 'mander on the right has an unusual cream-colored stripe, quite distinct from either the redback or leadback phase.